The Jewish community in Mumbai is on alert after an arrested terrorist says his group had plans targeting Jews. 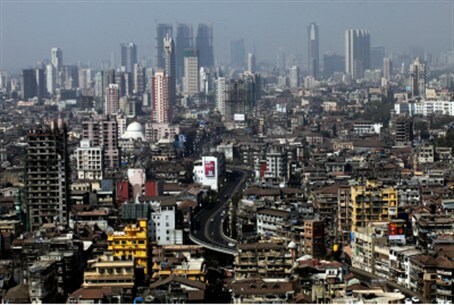 The Jewish community in Mumbai, India is on alert in the wake of a threat by a terrorist organization, the Hindustan Times reported on Wednesday. According to the report, a prominent body that represents the Jewish community in the city has sent out advisories to all synagogues and members to be on alert, especially during the festive season. The threat to the community comes in the light of the arrest of Yasin Bhatkal, who heads the Indian Mujahideen terrorist group. He reportedly told police that the organization had plans of targeting the Jews and Israelis in the country. “The Council of Indian Jewry sent out advisories through emails and phone calls to eight synagogues located in Mumbai and Thane asking community members to be extra careful and report any presence of suspicious objects or persons to the police,” Ezra Moses, secretary of the council and head of a Thane synagogue, told the Hindustan Times. “Since our festival season of Sukkot is on, most Jews in the city are visiting synagogues and hence the alert was necessary,” added Moses. “During the High Holy Days, we always request for security, and this year as well, we have had good cooperation from the authorities,” he added. Moses said that synagogues in the city had police protection, particularly after the 2008 terrorist attacks in Mumbai, in which the Chabad House was one of the targets. “We are keeping our eyes open and are more alert,” said Rabbi Israel Kozlovsky, who presently heads Chabad House. Nine people were murdered in the attack on Chabad House in 2008, including the Chabad emissary, Rabbi Gavriel Holtzberg and his wife Rivka.